Pros Faithful to the original • Great mix of educational content and fun gameplay	Cons No appearance of the Rockapella theme song • Three different goggle types don't offer particularly noticeable visual differences. 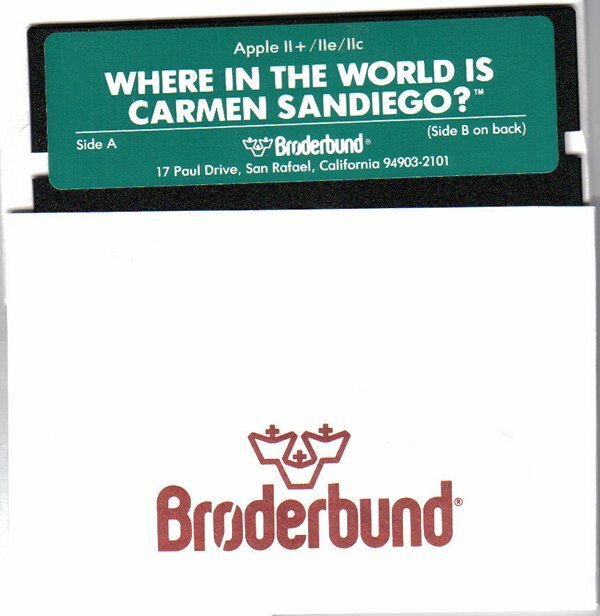 The year was 1985 and Brøderbund Software (makers of Apple II staples like Choplifter, Lode Runner and Karateka) released a ground-breaking geography-focused educational game called “Where In The World Is Carmen Sandiego?” which would grow to become its own media franchise spawning video game sequels, board games, a cartoon series and even its very own kids game show (which was AMAZING). Now 30 years later (has it really been that long? 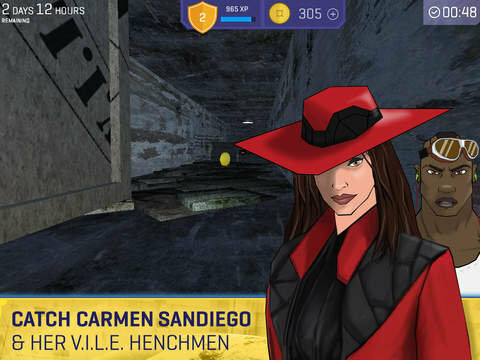 ), educational publisher Houghton Mifflin Harcourt has revived the series with an all-new mobile version of Carmen Sandiego, appropriately called Carmen Sandiego Returns. If you are somehow not familiar with Carmen Sandiego…then all I can imagine is that some Villains’ International League of Evil (aka V.I.L.E.) agent like Vic the Slick must have pilfered your memories. In the game, players take on the role of a globetrotting A.C.M.E. agent, trying to solve cases and track down the elusive Carmen Sandiego and her henchmen. As you explore locations by swiping your viewing rectile over the scenery, you uncover clues which help you to narrow down your suspect, determine your next destination and hopefully eventually the current whereabouts of your identified culprit. Doing great service to the fond memories of the franchise’s fan-base of now-adult gamers, Carmen Sandiego Returns does a nice job of keeping the original core mechanics of the game the same, but updating it for modern generations. I was about 10 years old when the original Carmen Sandiego game was released and I played it on my Apple ][e. So please forgive me if my memory of the detailed specifics of the gameplay is admittedly a little murky. However, my brothers and I played that game for hours and years later in 1991 we were enamored by PBS’s fantastic game show based on the game. Carmen Sandiego was one of the first games I distinctly remember playing which so expertly tricked kids into learning while having fun. In order to figure out where to go to next you uncovered clues and facts about all sorts of local and far off locations. The target audience for Carmen Sandiego Returns is 9 to 11 year-olds, and during the initial agent setup process it takes your child’s age into consideration and tailors the difficulty appropriately. When you start a mission you are given a limited amount of time during which to solve the crime as well as a little bit of cash, which can be used to speed up things likes flights to remote locations or the time it takes to get your arrest warrant so that they don’t eat up as much of your valuable case-solving time bank. When you get to a location you simply tap the screen and drag your rectile around the scene until it turns yellow, then orange then red, indicating you’ve found a hot spots which will either reveal a clue or some interesting fact about your current location. Occasionally you will also have to complete small time-based puzzles. Eventually, if you are able to track down your suspect you must complete a time-based Clearance Challenge to arrest them. This challenge is a short 3D auto runner style mini-game where you need to swipe left and right to avoid walls pick up coins (which are added to your balance) and swipe up to jump over objects. Filled with nostalgia for this formative part of my youth, I wanted to show my 8.5 year old daughter Emily what Dad’s Carmen Sandiego looked like, so I Googled up some screenshots and her first impression was “her version looks much better”…and she is certainly right! 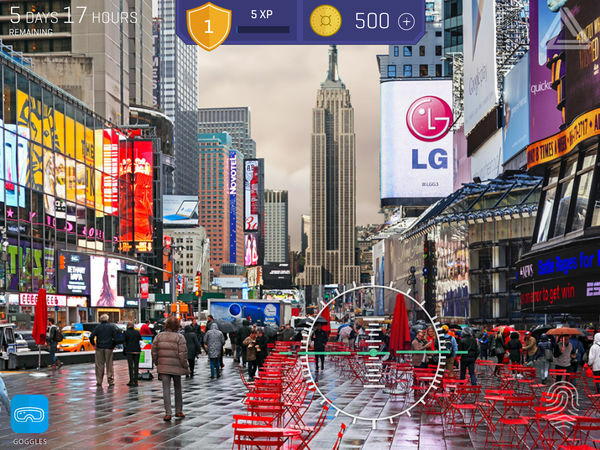 Carmen Sandiego Returns features richly illustrated locations which you can pan over while looking for clues, great voice-work and a slick, easy to use modern interface which helps kids feel like they are an A.C.M.E. spy. My daughter was hooked from the moment she got her A.C.M.E. ID badge and was rapt with attention as listened to the A.C.M.E. HQ Chief tell us the details of our first case. She vivaciously read each and every clue and fact we discovered. I did need to assist her a little bit with the location clues, but she loved narrowing down the suspect whenever we got a new clue that revealed a physical trait or hobby. As soon as we successfully completed our first case (with a good deal of time to spare) she immediately wanted to do some more sleuthing with another case. And my insistence that it was bedtime was met with excited chants of “one more case…one more case”. For the initial purchase price of just $1.99, you get a good deal of replayability. 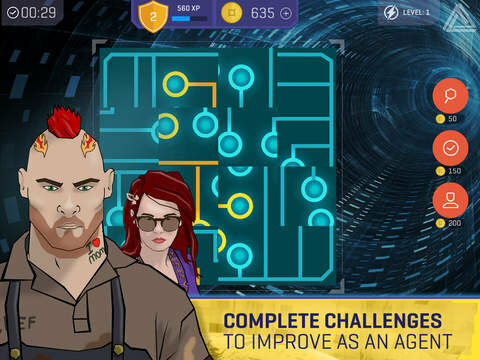 The base app comes with three missions with two mini-game challenges. Even after you solve a mission, it can be replayed multiple times since different clues are given on subsequent plays, leading to a different culprit in the pool of 20 V.I.L.E. suspects. Additional content packs are available for $1.99, each of which include three more missions with new cities, challenges and crimes. One note, while the app is only about a 100MB download, it will need to install about another 600MB of data when you first load it up. Carmen Sandiego Returns is an excellent, modern addition to this beloved franchise from my childhood. I love the fact that I can now experience this engaging and educational series with my daughter and see her eyes light up with excitement and wonder just like mine did so many years ago. While technology has certainly gotten better, I applaud Houghton Mifflin Harcourt for not attempting to do some radically different reboot and instead they’ve chosen to rekindle that core gameplay which won kids (and parents) over 30 years ago, and allow technological updates to simply enhance and further polish the experience. ← PAX East 2016 Tickets Are On Sale Now…Go! Go! Go!